Photo: Jeremy Lonsdale. Scarborough Cricket Club ground being used for recruiting purposes in 1915. 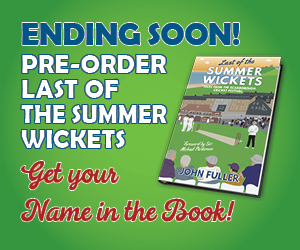 Author Jeremy Lonsdale examines how Yorkshire cricket clubs faced the challenges of starting again in April 1919, after the First World War. Exactly 100 years ago this month, the first cricket season after the First World War got under way as all over Yorkshire local clubs again took to the field. 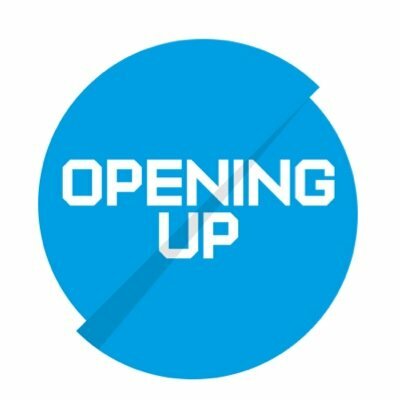 After the terrible events of the war, there was optimism and high expectations, even though for many the new season was overshadowed by sadness at the tragic loss of old friends. Many clubs had closed down entirely for the war, but others continued despite the disapproval of many people. As the war went on, such clubs had faced the increasing challenge of losing more and more men to the services, fuel and food shortages, deteriorating facilities and the loss of their fields to food production. 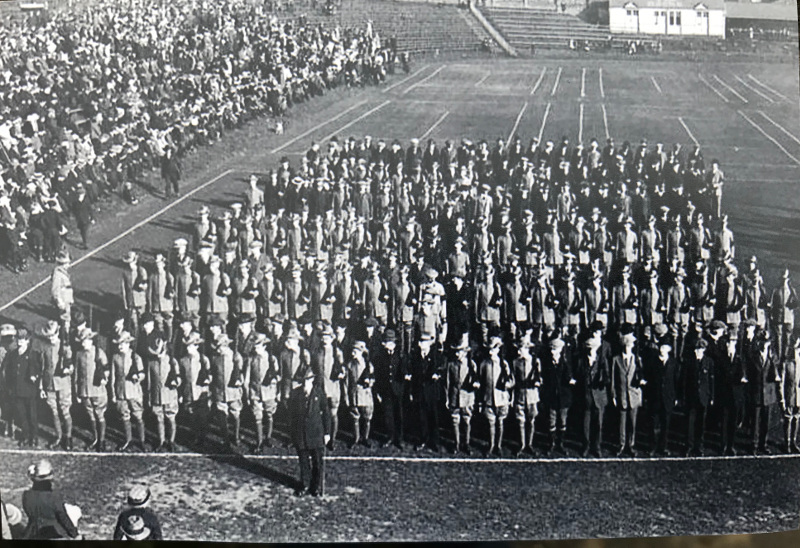 The war ended in November 1918 and over the coming months,hu clubs were renewed all over Yorkshire as they welcomed back those who had served in France and Egypt, had been prisoners of war, or were no longer needed for weekend working in factories and workshops. 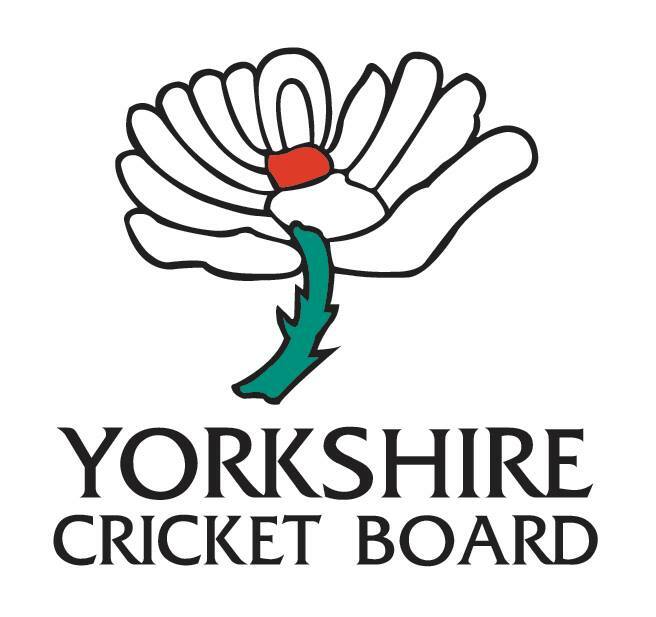 On 19 April, the Bradford League and the Yorkshire Council started their seasons. That weekend, good weather graced the game as one famous old bowler – former Yorkshire star Schofield Haigh – quickly got into his stride with 77 for Keighley, while another – the great Sydney Barnes – limped off in the first over for Saltaire. The following week was colder, but more leagues started their programmes. A lack of practice was blamed for disastrous performances such as Pudsey St Lawrence’s 13 against Keighley. But no one minded – the most important thing was that the game was being played. Photo: Jeremy Lonsdale. Peace day match near Hull 1919. The 1919 season got under way after months of hurried preparations. In the New Year, Hull Cricket Club began to repair the damage done to its ground by four years of military occupation. York Cricket Club – which had stopped playing during the war – also resumed and considered how to increase its links with smaller sides by reviving the old York Cup Competition. In the advertising columns of the Yorkshire Post, there was a sudden urgent demand for professionals and groundsmen, and the ending of war also saw some leagues reintroduce medals and trophies, which they had stopped giving out because it had suggested a wrong sense of priorities. There were many immediate practical challenges. All over the county, club finances were in a bad state, and whist drives and dances were held to raise funds. Clubs also faced shortages of cricket equipment and had to pay much higher prices for new bats due to the rising cost of wood and rubber, which were in short supply. Photo: Jeremy Lonsdale. 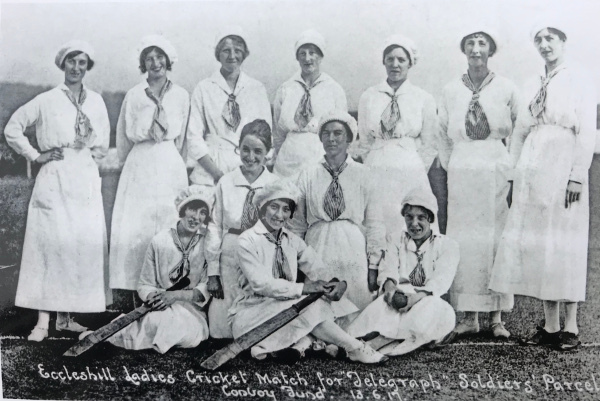 Women cricketers from Eccleshill playing to raise funds for soldiers. 1917. Many clubs had donated their equipment to newspaper appeals to send sports kit for soldiers to use at the front in their spare time. Continuing fuel shortages meant some clubs had to limit how far they travelled to away games, and the strikes on the railways in the summer of 1919 made it even harder for some teams to get about. Inevitably the spectre of war was present in Yorkshire cricket given how many men had been killed. Harrogate Cricket Club published a list of the 160 members who had fought, of whom 20 did not return. Other men, like Barnsley’s longstanding captain who contracted malaria in Mesopotamia, had sustained life-changing conditions and could not take up the game again. The Norton and District League in Sheffield decided to raise money for a memorial to local cricketers who had fallen in the war, and altered league rules so each member club could set aside a summer fixture as a charity match. To start with local leagues and clubs took account of the unusual circumstances. Some leagues extended player registration periods until mid-summer as demobilisation was still taking place. In certain areas difficulties in finding grounds were overcome by clubs sharing fields, while others took advantage of the army selling off surplus wooden huts and turned them into new pavilions. Nevertheless, as the summer went on and the game was blessed by warm weather, there were signs of the game returning to normal. Sports editions were again printed on green paper and were full of club gossip and tales of local rivalry, while attendances rose at all levels of the game. Photo: Jeremy Lonsdale. 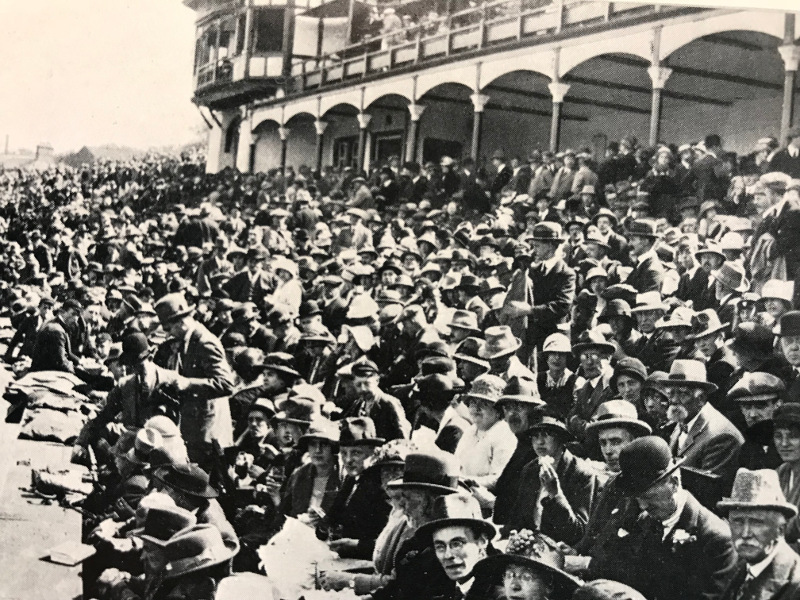 Large crowds attended cricket matches after the war. As a result, by June the Yorkshire Evening Post had commented that predictions that the game would quickly revive had been easily exceeded. 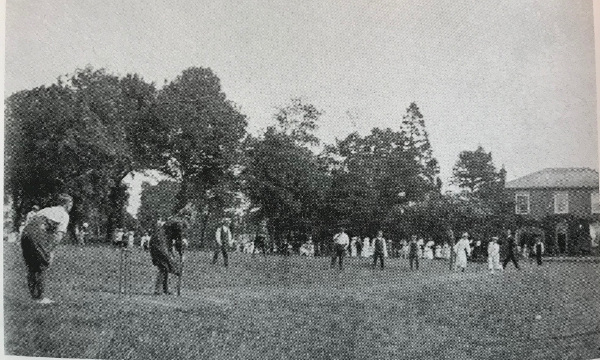 The enthusiasm was added to by growing interest in different forms of the game which had emerged during the war. Evening cricket competitions expanded, made possible by the wartime Daylight Savings changes which meant it was lighter later. Women’s cricket became more popular in certain clubs, and works cricket expanded, with many large employers providing recreation facilities to encourage a healthier workforce. The 1919 season was a hastily organised but triumphant return for the game. Thousands played and watched cricket, thrilled simply by the chance to relax with friends. Some clubs and leagues would take another year to get back to normal, but there was no doubt cricket in Yorkshire was back on its feet and would soon enjoy a period of huge popularity.